It appeared like no submitted map came close to meeting the Pennsylvania Supreme court order. 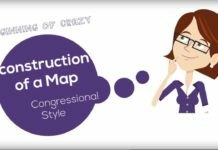 The public was permitted to cling to this myth until Monday, February 19, 2018 when the Court released its congressional map. The court order was specific. Local governments might only be split for creating districts of equal population and no other reason. In the Court-drawn maps, absolute necessity is replaced by the convenience of the Court. The maps submitted to the Court prove Nathaniel Persily, under the direction of the Court, did not make a “good faith effort” to minimize splits to local governments. This is the number of counties, municipalities, wards, and voting precincts that include one or more splits. This is calculated by taking the number of times each place is split minus the number of places split. Philly, for example, has 3 total splits (4-1=3). The rules laid out by the Pennsylvania Supreme Court essentially say splits are only allowed to create districts of equal population. With other maps before them demonstrating the same population equality may be achieved with fewer splits, the map produced by the Court clearly did not make a good faith effort to create splits for population equality only. Federal Courts tend to overturn a map which fails to demonstrate a good faith effort, especially when it comes to local government splits. The lack of a good faith effort by the Pennsylvania Supreme Court calls into question the validity of the plan they crafted. Although Wards are included in the Supreme Court Order of the boundaries to respect, the information they released includes no count of the number of wards split. Yet their Order and Opinion Adopting a Remedial Plan praises their treatment of Wards. This statement seems even more absurd in context. It is the footnote to the assertion they made of their plan’s superiority to all others as it relates to splits. As was already demonstrated, their plan is not superior when looking at any “census-provided definition”. In addition, at least one of the submitted plans split fewer wards in Philadelphia. It begs the question: how much consideration did they give to the evidence before them? The Court Remedial Map appears to take a special interest in which districts include some of the larger cities in the state. What made these priorities more important than the constitutional framework they laid out in the court order? What becomes of the law when courts are willing to sacrifice the law for convenience? The Court also ignored any reference to the Voting Rights Act (VRA), providing no information on the impact district lines will have on minority groups. A brief review shows the Court maps retain one minority-majority district, but eliminated the minority coalition district. It is true that legal protection for a coalition district is ambiguous, but it is also true that minorities in Philadelphia lost out in the new maps. And as was shown previously, this was not necessary. Turns out that Nathaniel Persily does not understand Pennsylvania geography as well as one might have expected. This is proven by the one split placed in Chester County. Technically speaking, Chester County is not contiguous. This is thanks to the Twelve-Mile Circle created in 1681 and how Delaware County was separated from Chester County in 1789. Through these outside forces, a small (maybe 1 mile) piece of land became inaccessible from Pennsylvania and just misses remaining contiguous with Chester County by less than 1000 feet. From a district-making perspective, Chester County as a whole has always been considered contiguous even though it was known to technically not be contiguous. So why did the Court find it necessary to break from this over 200-year-old tradition? The map produced by the Court splits this small tract of land in which no one lives from the rest of Chester County and places it in a neighboring district. Again, why after over 200 years is it now considered “appropriate” to change how this anomaly is treated? Such a move is certainly insignificant to the more prominent partisan discussion. But it reflects an ignorance of a geographic tradition which transcends politics. Did this lack of understanding of the state of Pennsylvania hurt the map in more significant ways? At the end of the day, the Court Remedial Map does little to bring resolution to the underlying issue of a redistricting process without firm, measurable standards. The judiciary should be known as the impartial voice of law and order. Instead, they have given Pennsylvania inconsistency leading to confusion and perceptions of bias. It is sad to see each branch of government fail in their constitutional duty to protect the rights and freedoms of the citizens. Pennsylvania began down this road through excessive manipulations by the legislative branch. Instead of ending this practice, the judiciary chose another path which once again artificially maneuvers the district lines. Respecting the law is respecting the people it is intended to protect. Absent this respect, the voice of the people is being lost amid political power plays. When will someone stand up for the citizen? Will the rule of law ever prevail in this ongoing saga? Or will this hope also turn out to be merely a myth? Thanks for this. I saw this issue myself, but I love how you put it down.